TrustWorkz, Inc is a Yext Certified Partner. This allows us to offer the entire PowerListings suite to our clients. PowerListings’ technology lets you seamlessly update, sync, enhance and monitor your business listings across the web. Please view the video for more information regarding PowerListings. 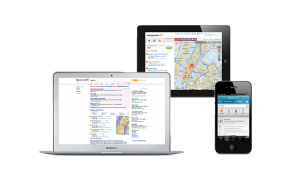 Let TrustWorkz claim, manage, and monitor your local listings to help ensure an accurate and reputable web presence for your business. Want to find out how your business is listed online? Run a quick report!